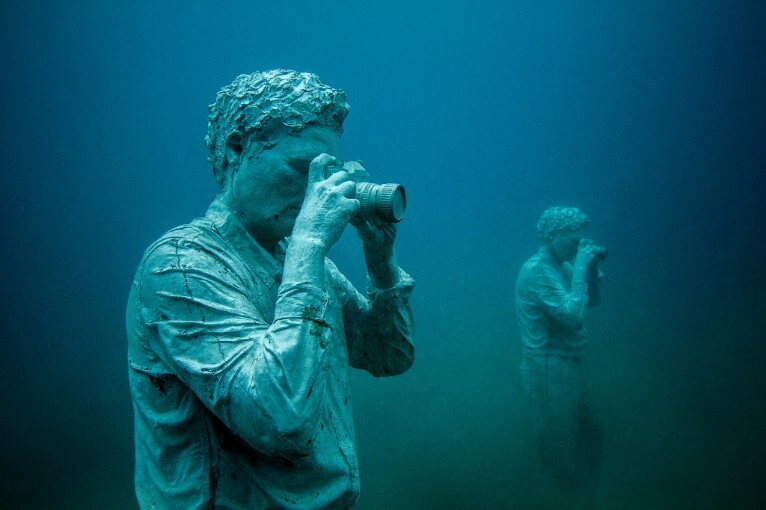 Jason deCaires Taylor installs the first phase of sculptures in Museo Atlantico, the first underwater contemporary art museum in Europe and the Atlantic Ocean. 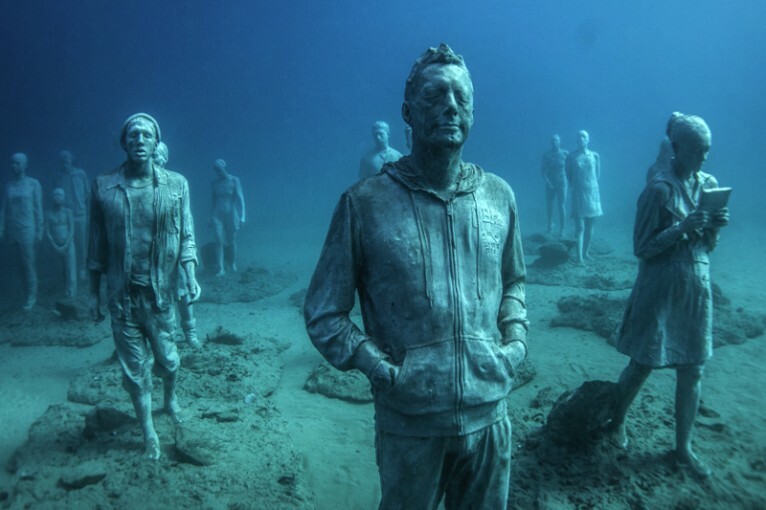 Situated in clear blue waters off the coast of Lanzarote, Spain. 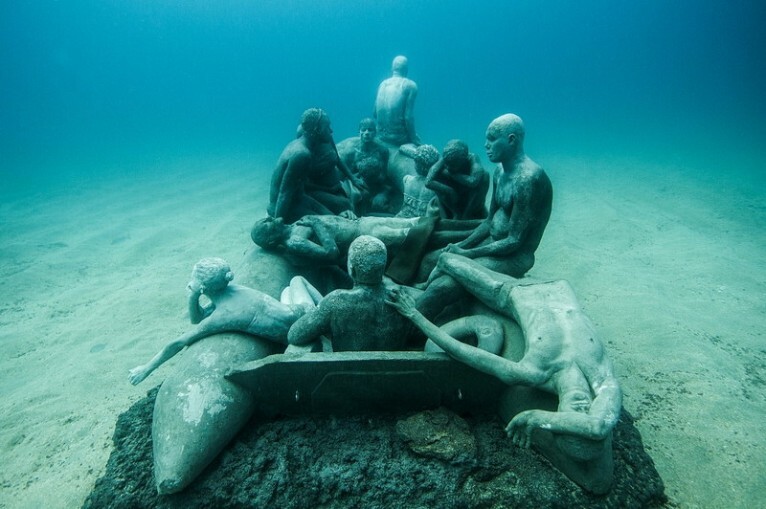 The unique, permanent installation is constructed 14m beneath the surface, accessible to snorkelers and divers. 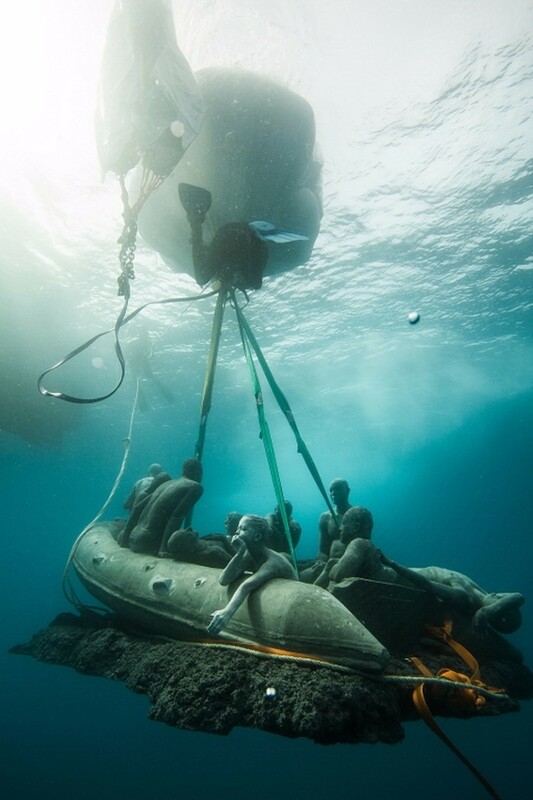 The Museum will be open to visitors from the 25th of February 2016. 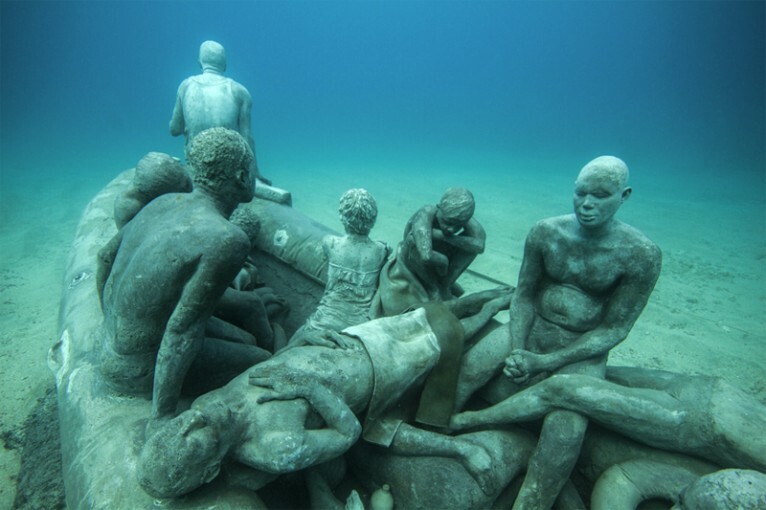 Raft of Lampedusa: a harrowing depiction of the ongoing humanitarian crisis, referencing French Romantic painter Théodore Géricault's work: The Raft of the Medusa. 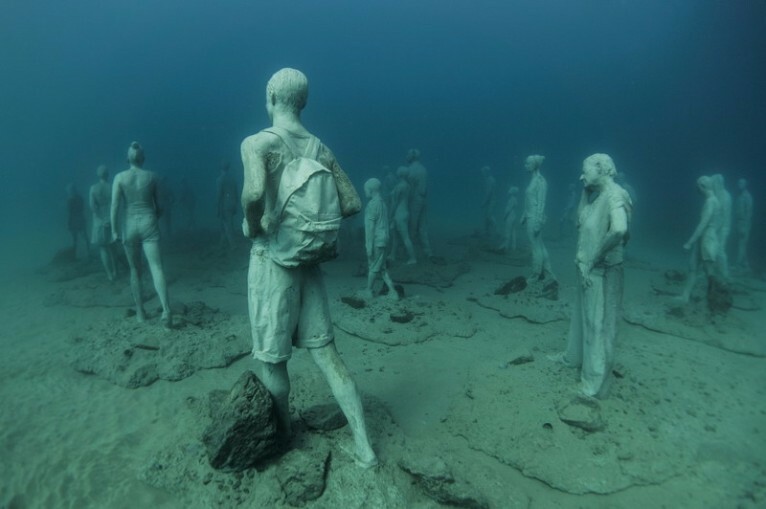 Drawing parallels between the abandonment suffered by sailors in his shipwreck scene and the current refugee crisis, the work is not intended as a tribute or memorial to the many lives lost but as a stark reminder of the collective responsibiliy of our now global community. 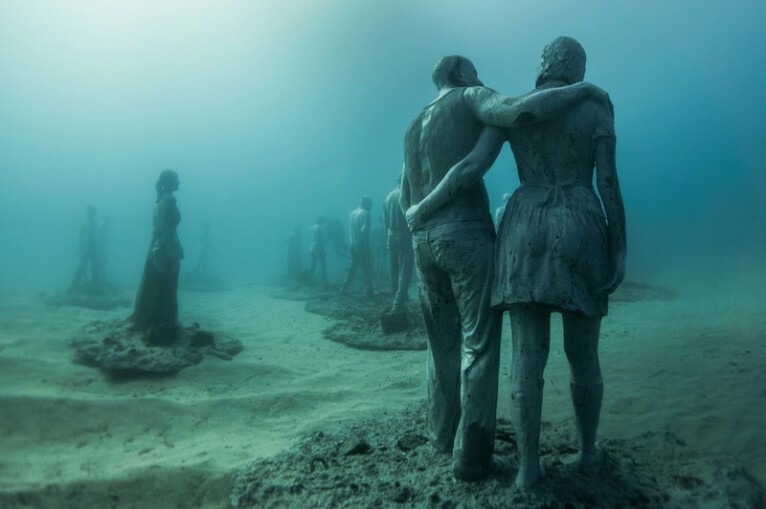 The project funded and supported by the government of Lanzarote will also consist of an underwater botanical garden, celebrating Lanzarote’s long standing relationship with art and nature.